Endearing Willow Tree figurative sculptures speak in quiet ways to heal, comfort, protect and inspire. 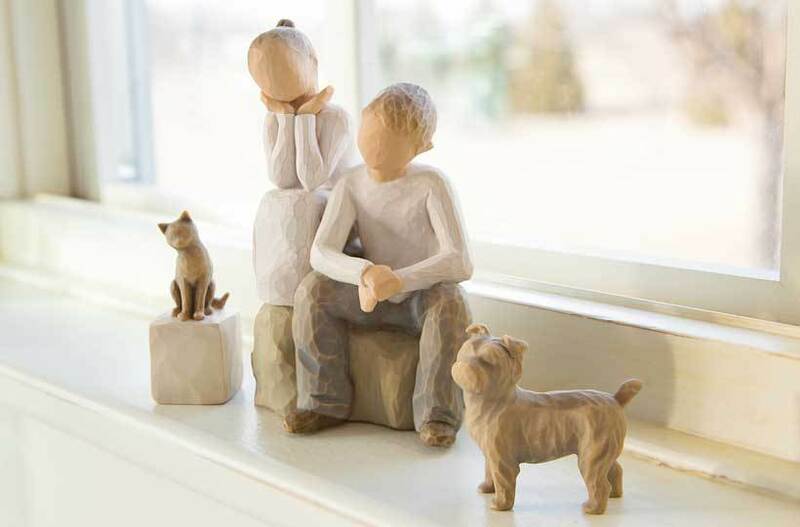 When you seek a meaningful gift that captures an everyday moment or expresses a feeling, a Willow Tree figure offers that truly personal touch. Each piece is cast from Susan Lordi's original, hand-carved sculpture, then individually painted by hand. Through beautiful, gestural figures, Willow Tree embraces our personal relationships, reminding us of the emotions that bring us together.